Yup, stop violence against women! 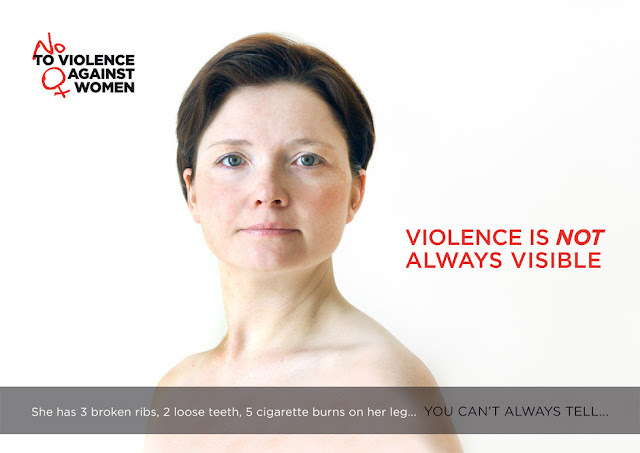 Stop it from now..
Like what you can see at the picture above, violence against women is not always visible. Violence against women can happen to any woman in this world, anywhere and anytime.. I wanna share to you about my graduation paper. It's about violence against women, especially about the physical and physiological impact for the victim. During I worked on my graduation paper, to be honest I was surprised to find out that violence against women can occur in women of all age groups, with any educational background, and also any marital status. Surprisingly, violence against women isn't just about violence physically but it can also as sexual assault or psychological violence. And each victim isn't only suffered from one form of violence, but also could experience two or three forms of violence at the same time. The physical and physiological impact for the victim is also various. The physical and physiological impact for the victim is also various. The physical impacts are not only cuts or bruises that appear on victim's skin, but also can cause damage to organs or other body functions. Even on sexual assaults can lead to pregnancy or miscarriage. 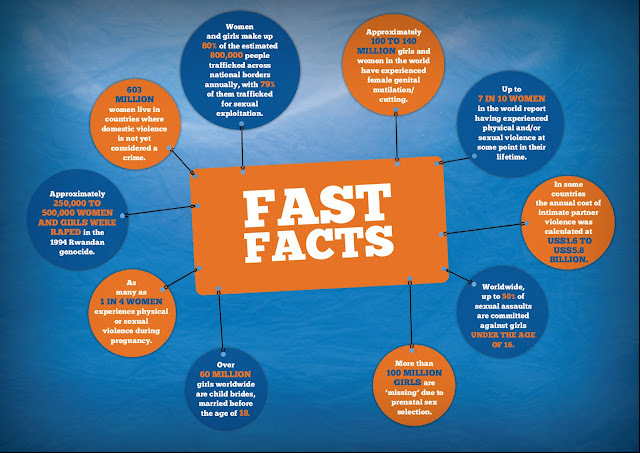 Violence against women can also lead to psychiatric disorders, psychiatric disorders from mild to severe. All of these numbers only represent a few from the real numbers on violence against women, because there were violence against women that haven't reported.. These some videos from UN (United Nations) about "Stop Violence Against Women" campaign.. 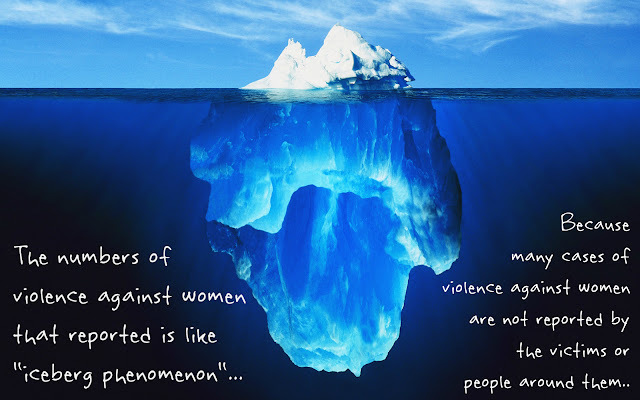 So, let's aware about violence against women. Because this violence can happen to any women in this world..